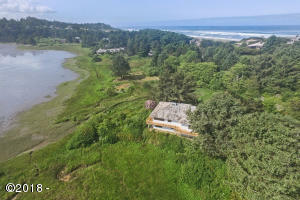 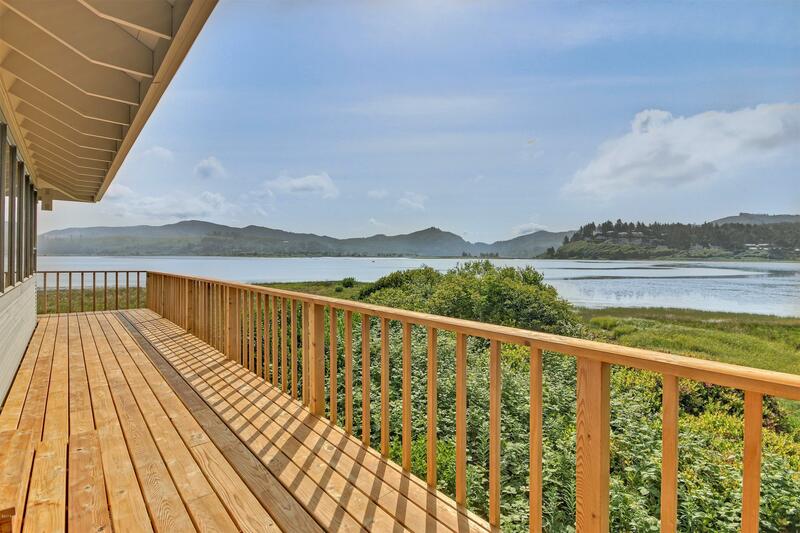 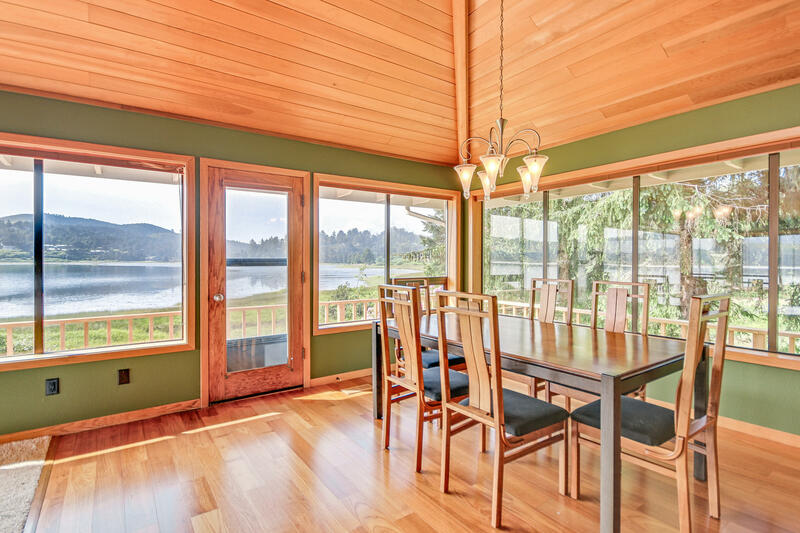 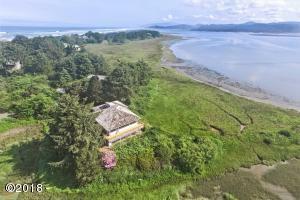 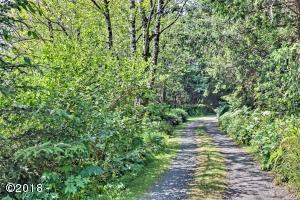 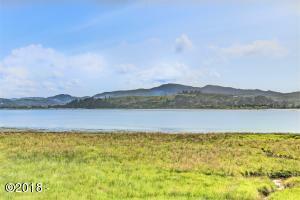 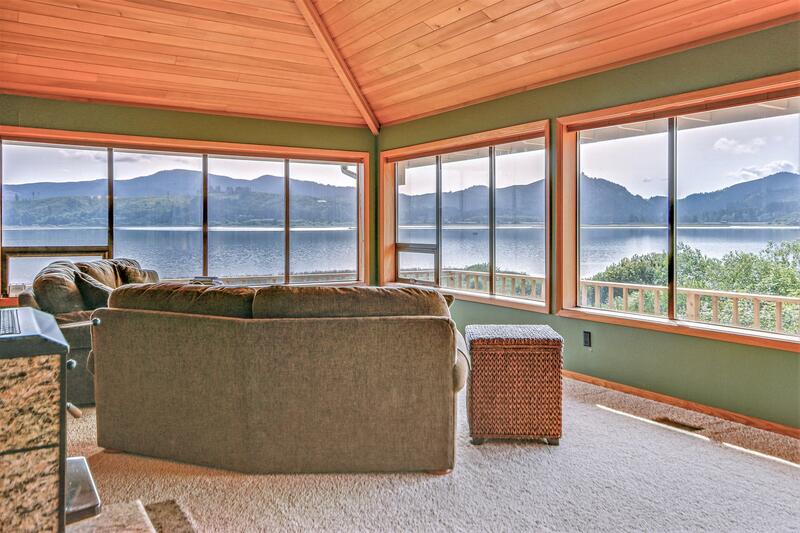 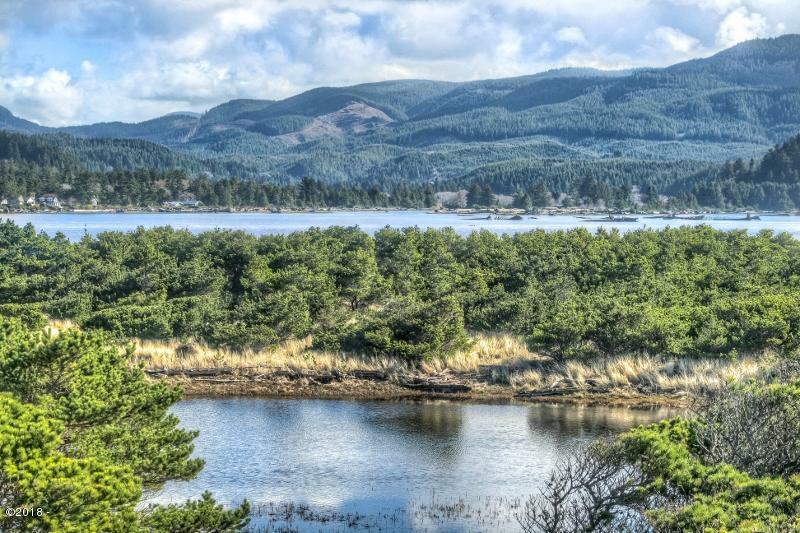 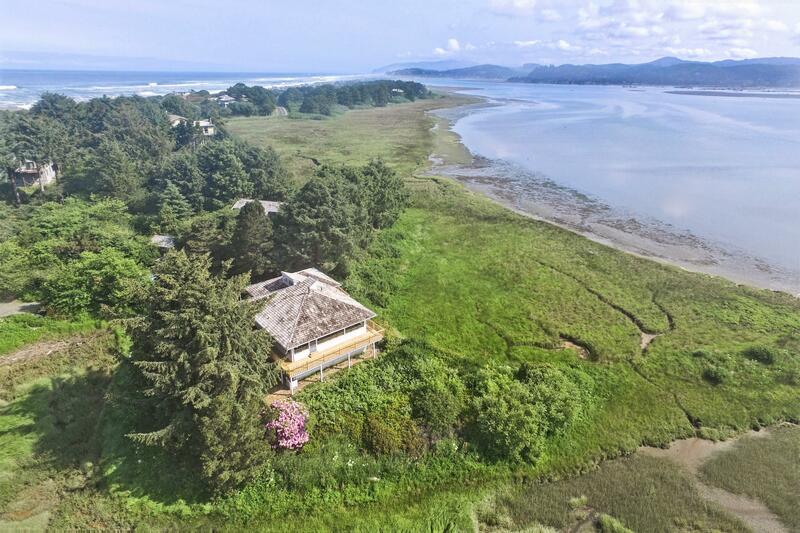 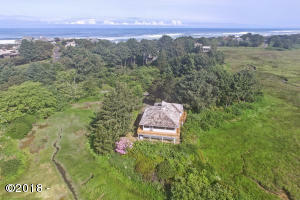 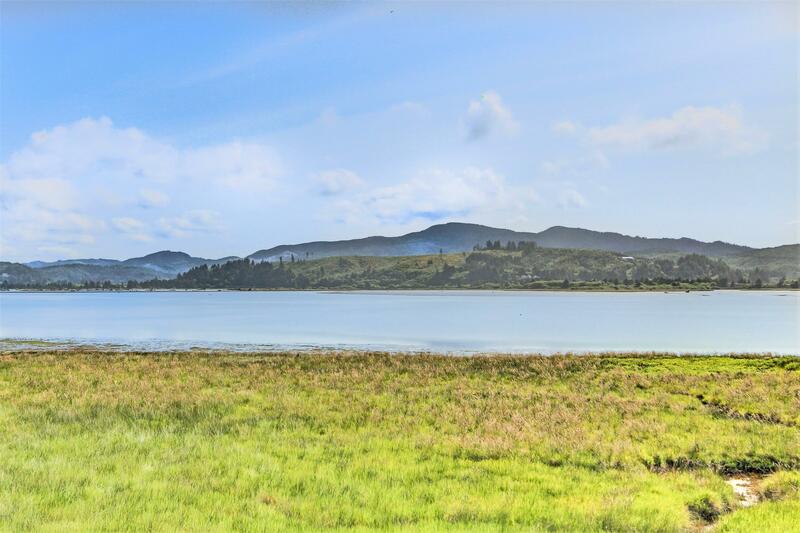 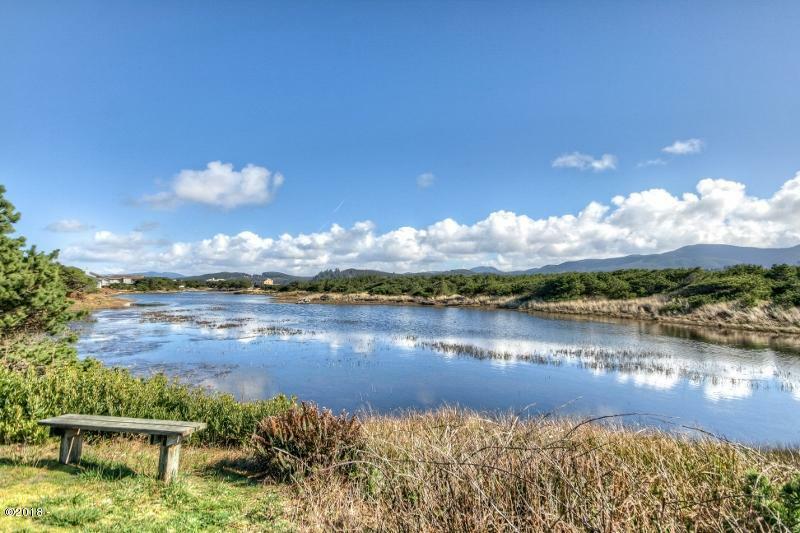 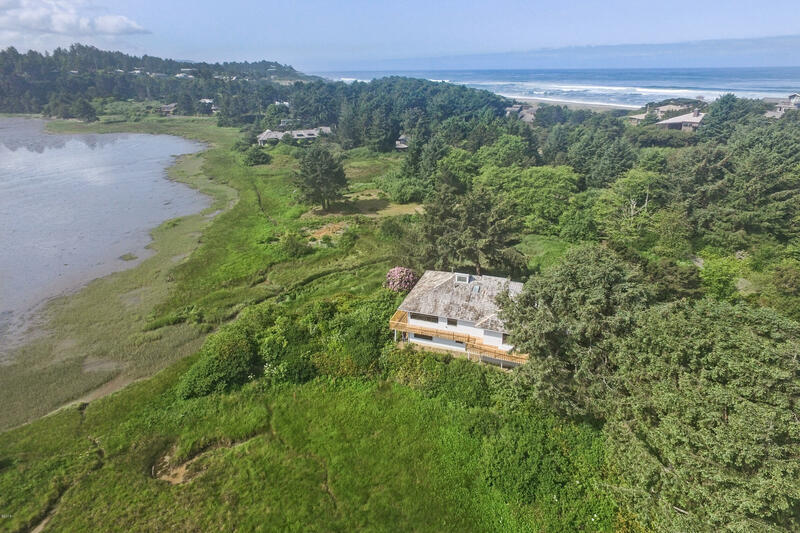 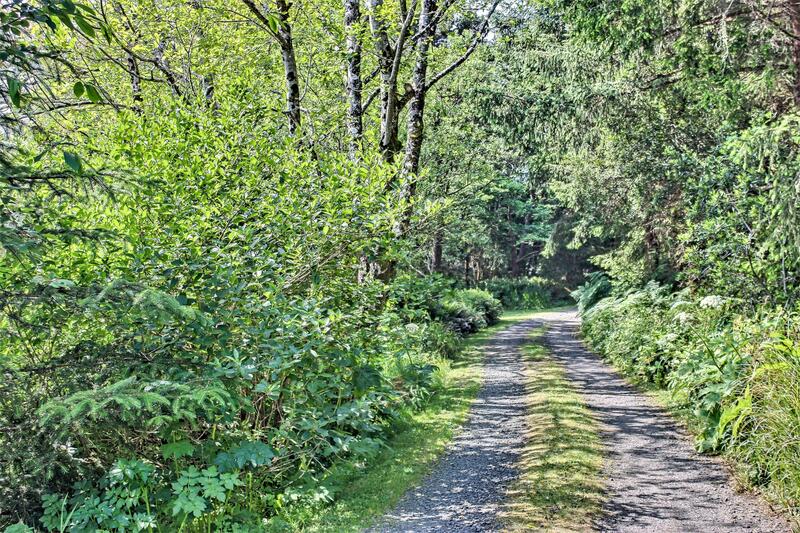 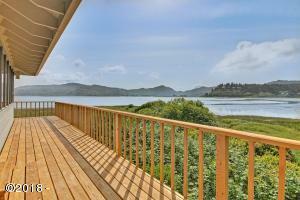 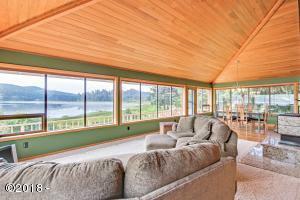 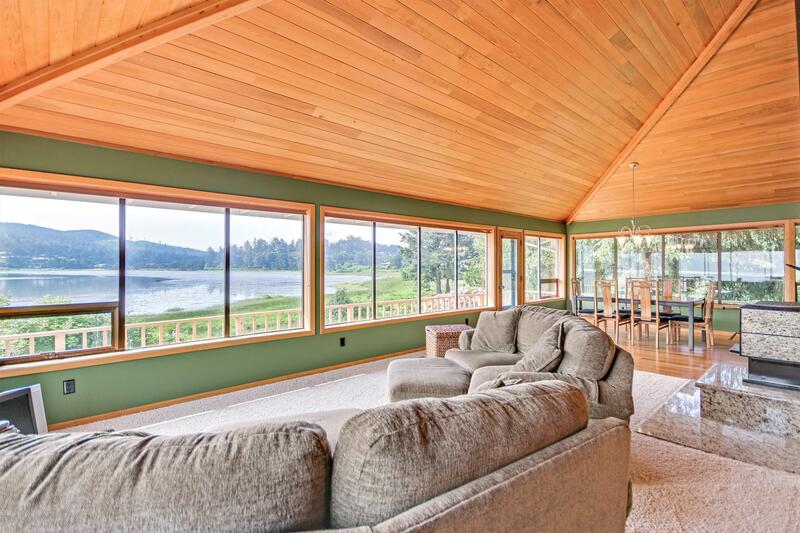 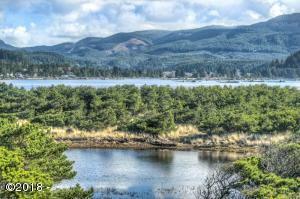 Private secluded Salishan bay front home on .31 acre site with panoramic views of the Siletz bay and wildlife. 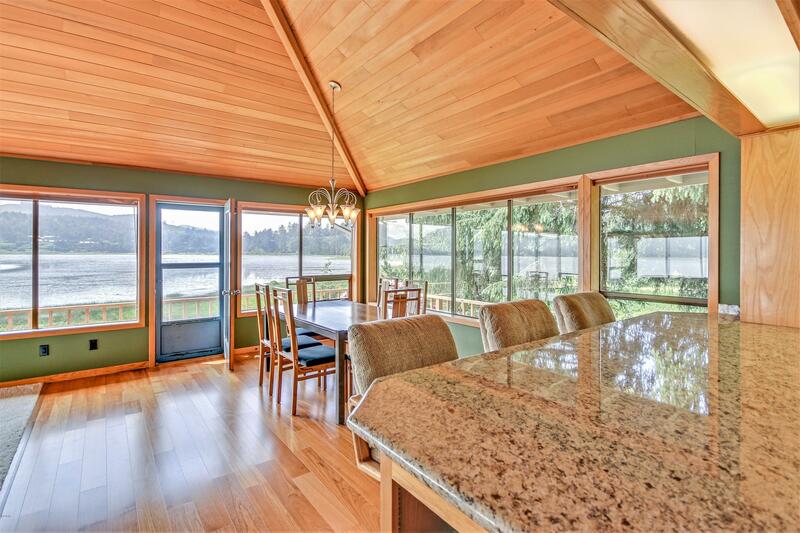 Beautiful custom home with teak floors, vaulted cedar ceilings, granite counter tops and large master bedroom suite with access to deck. 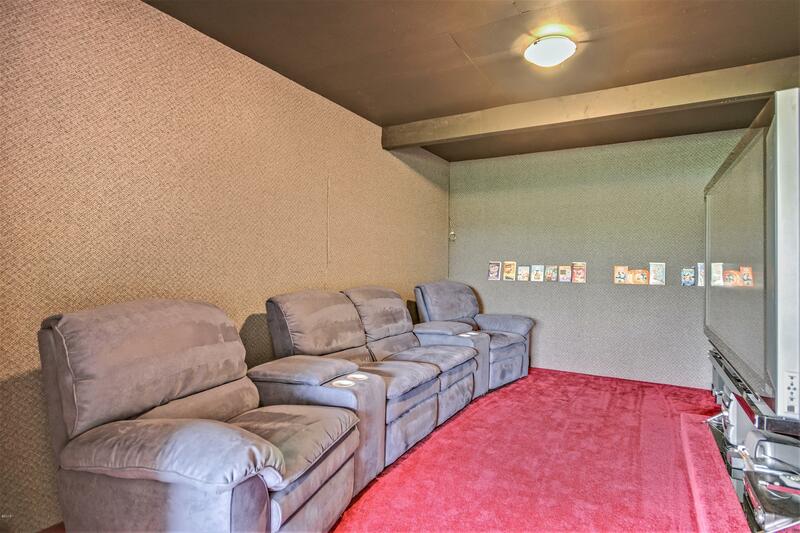 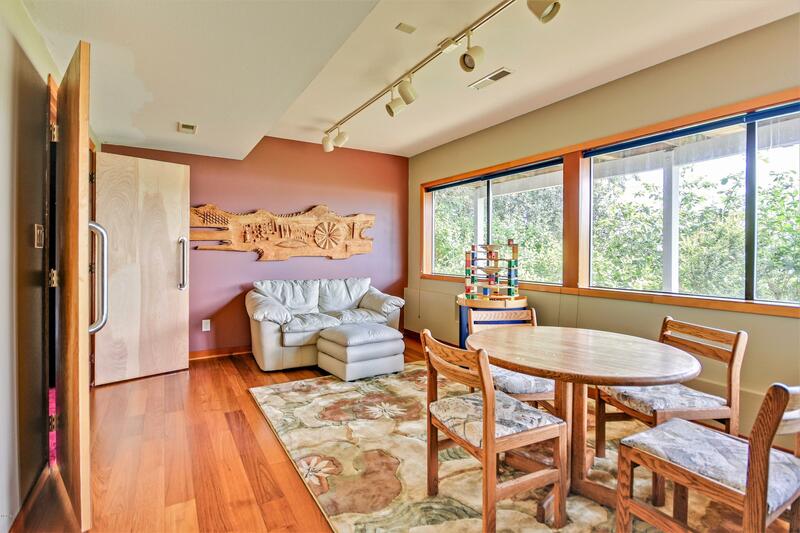 Design features include home theater + additional den, wrap around decks and private patio. 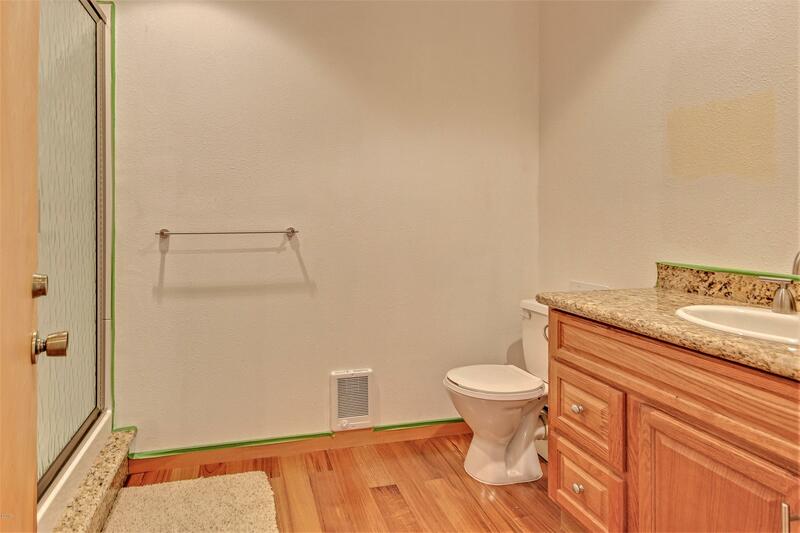 Superior construction. 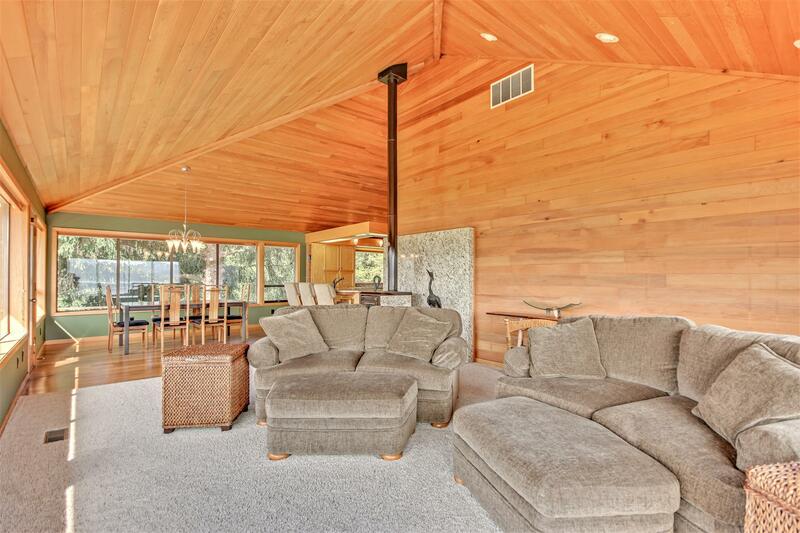 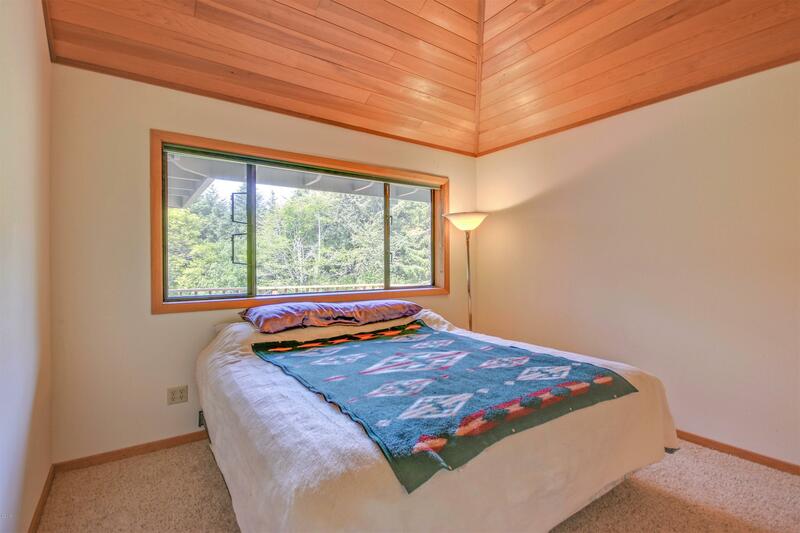 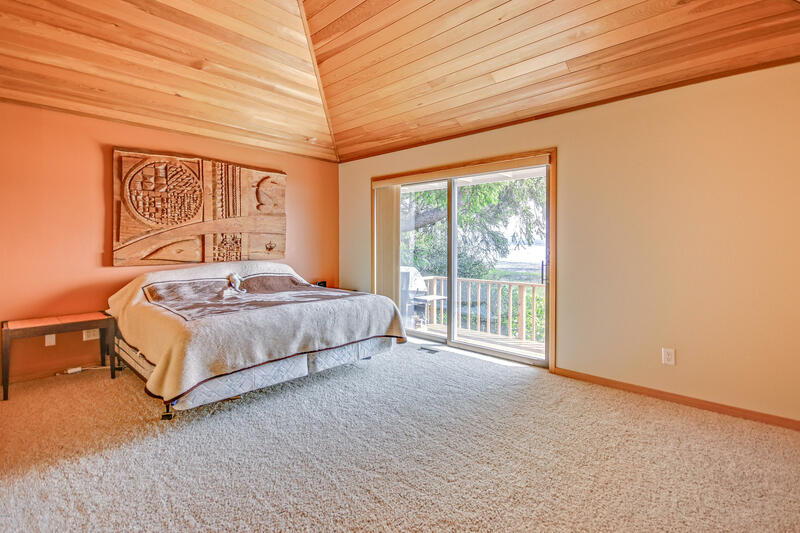 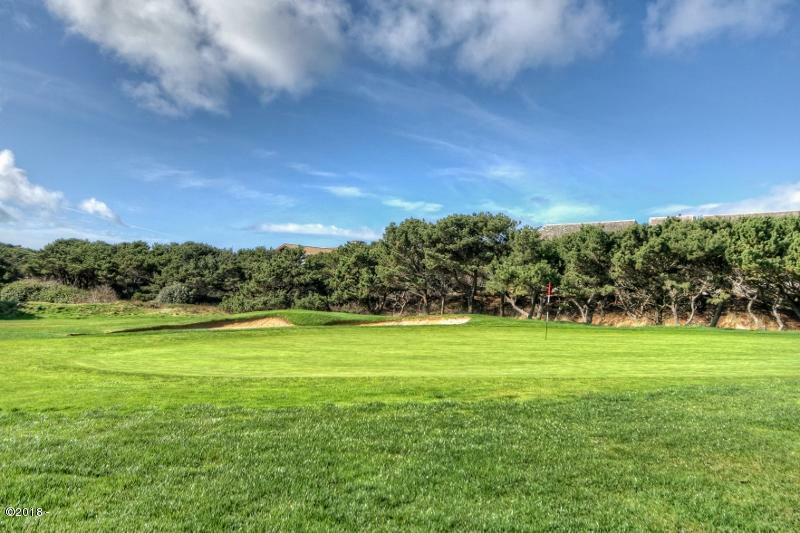 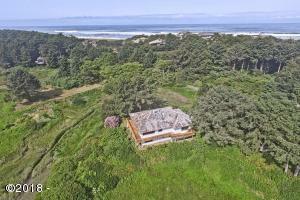 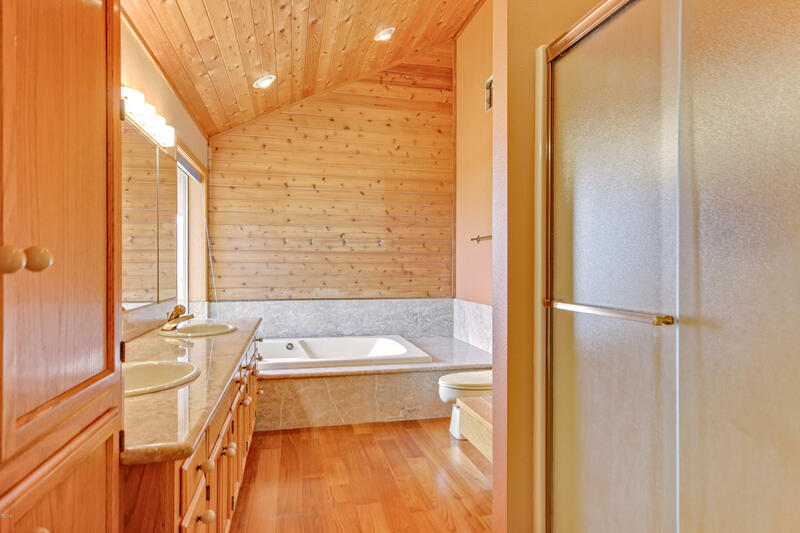 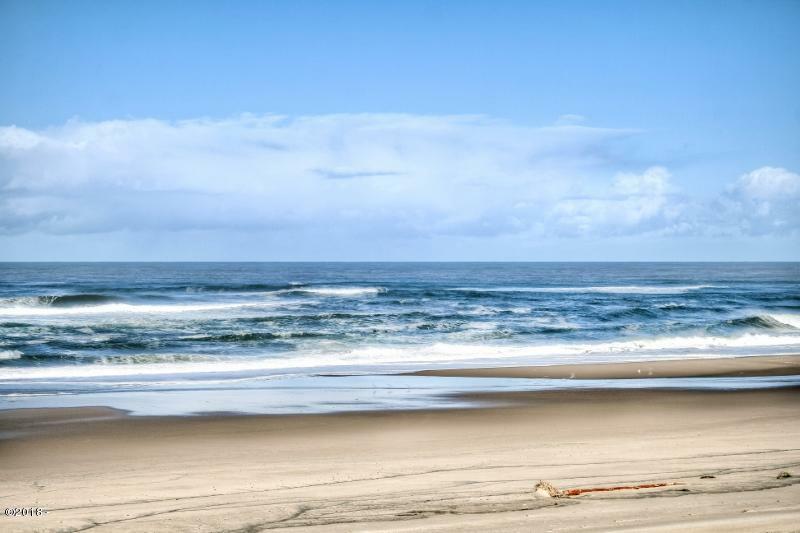 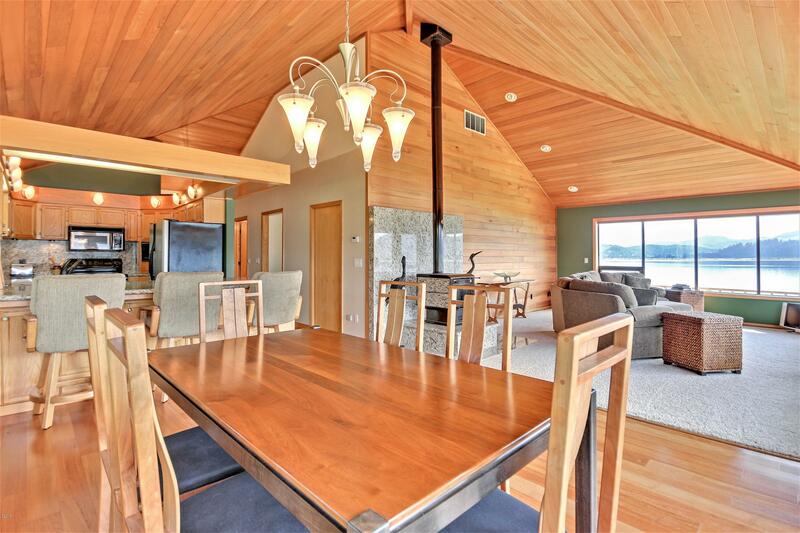 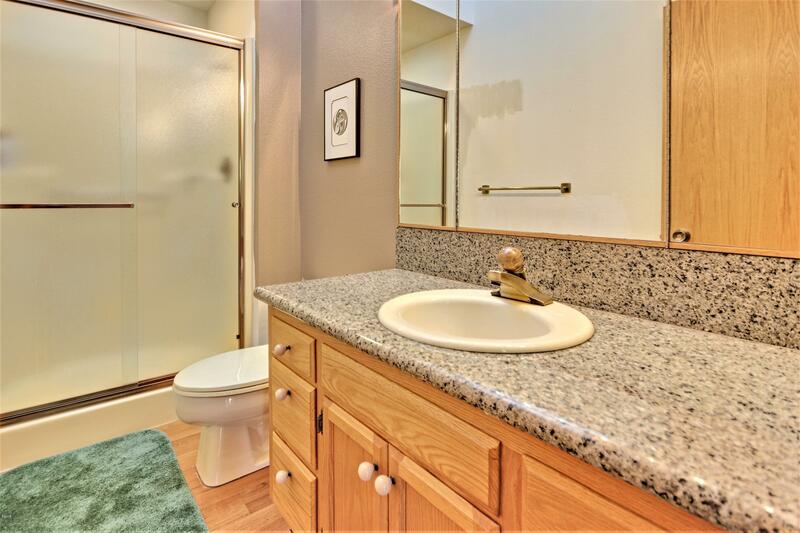 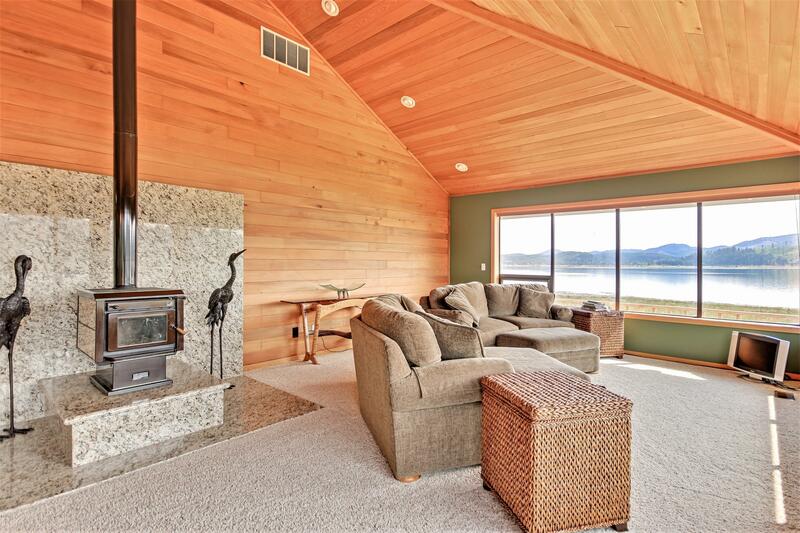 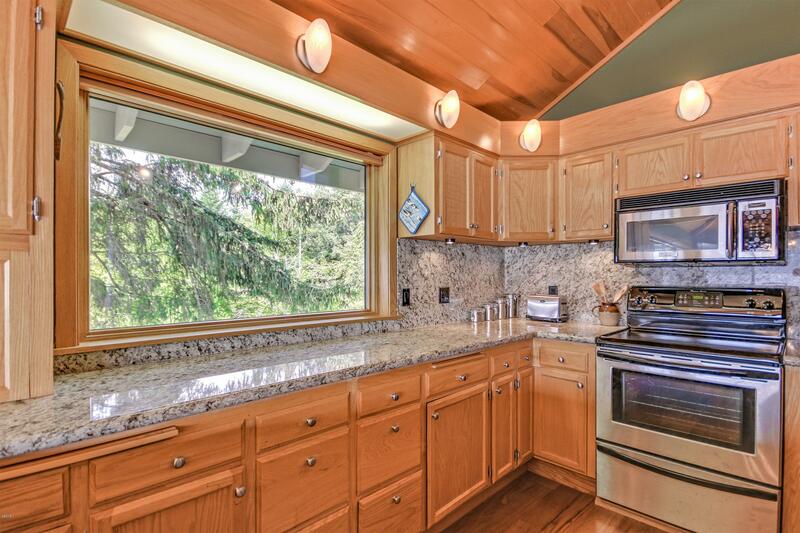 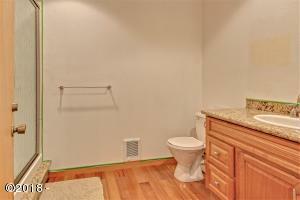 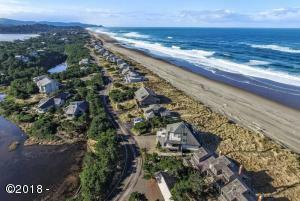 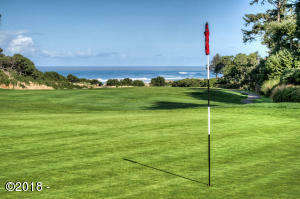 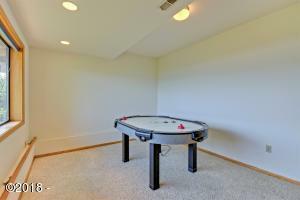 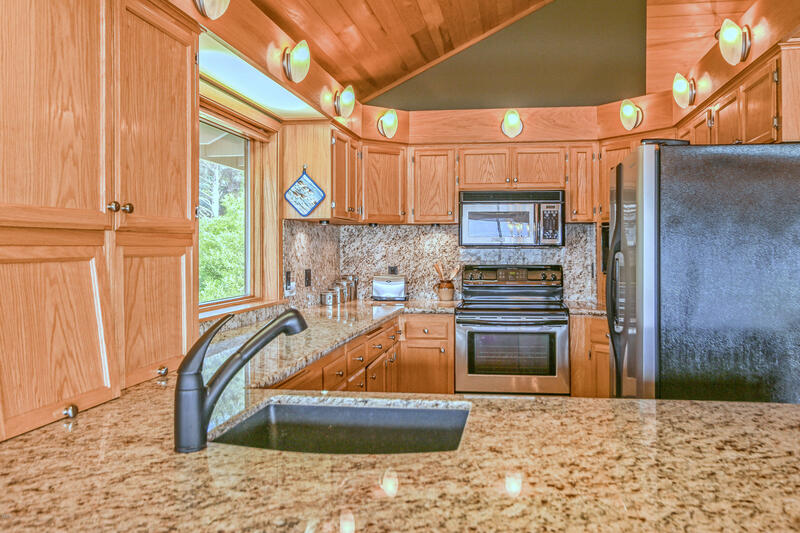 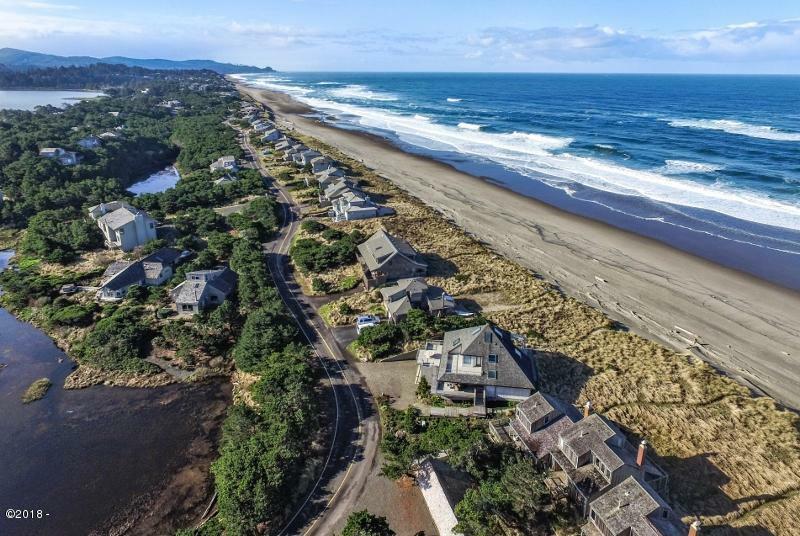 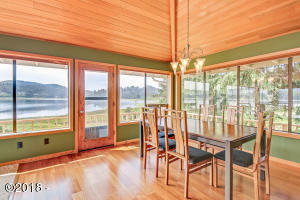 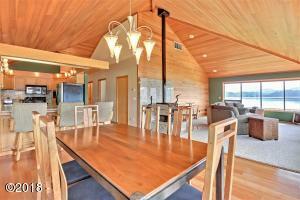 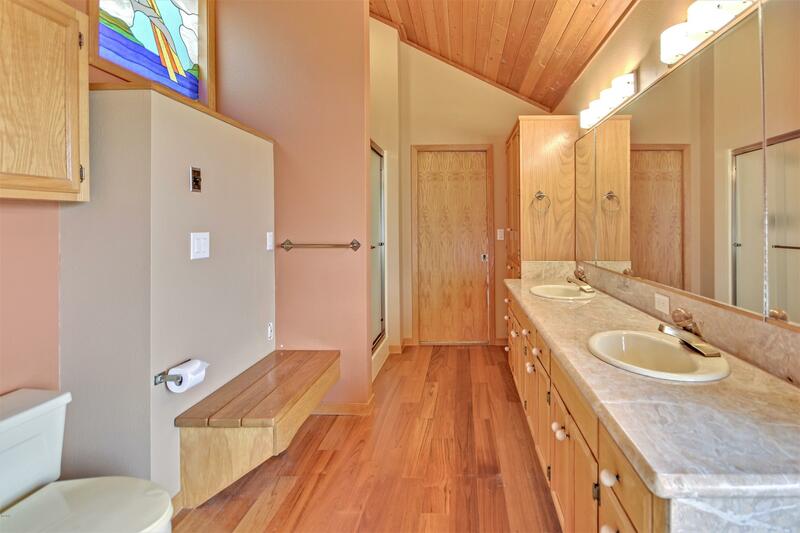 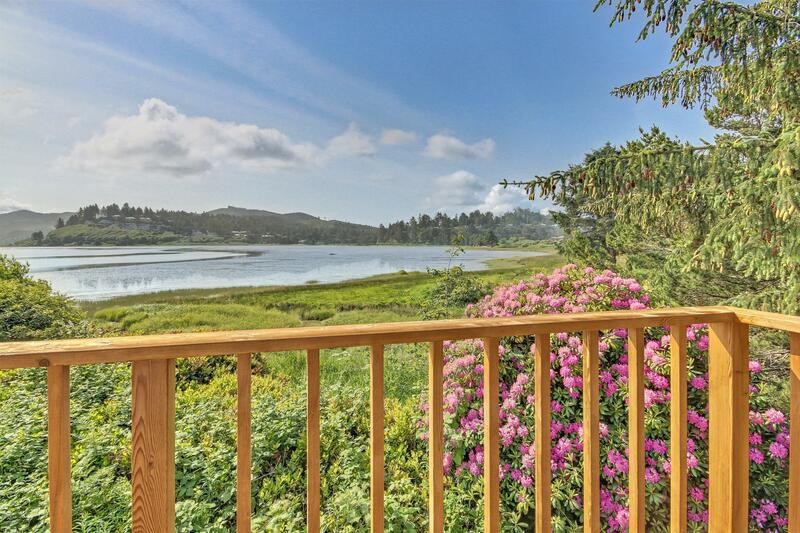 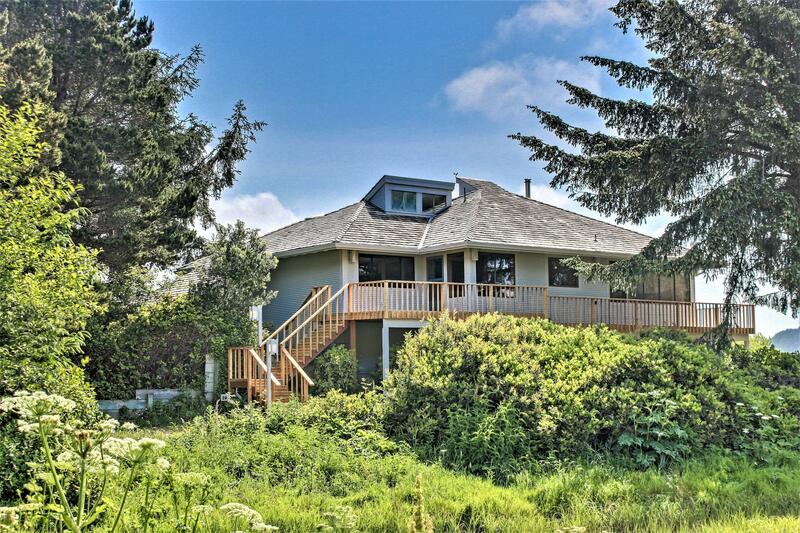 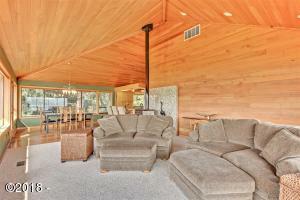 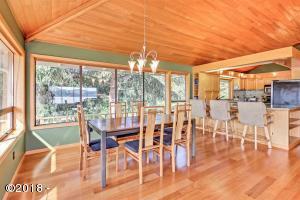 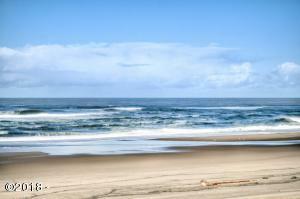 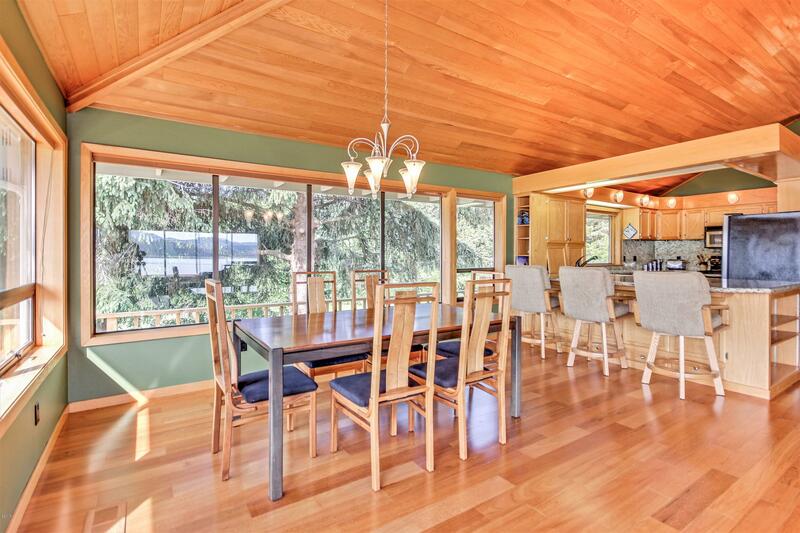 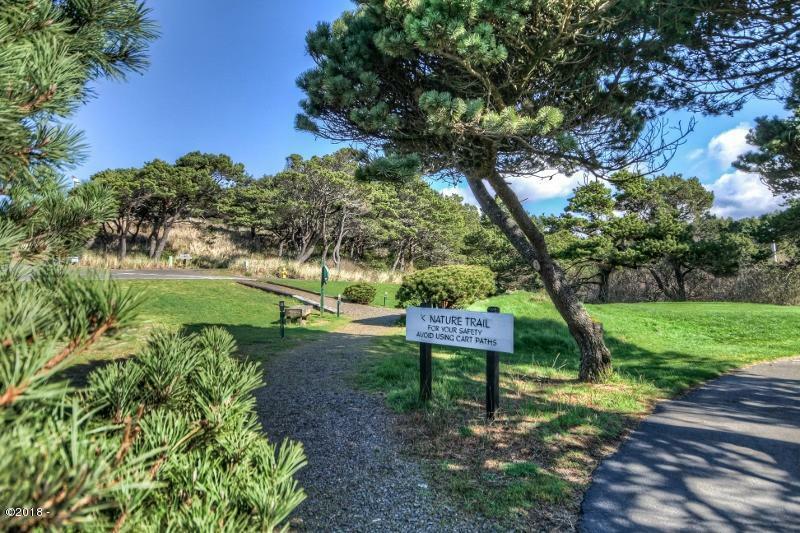 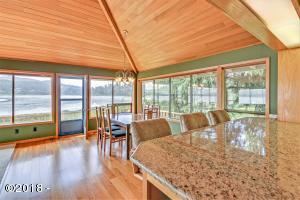 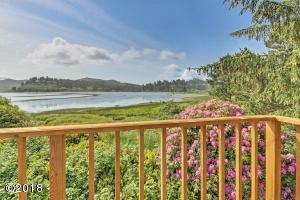 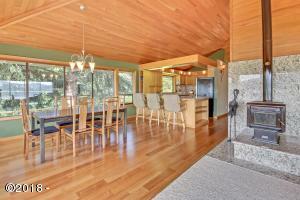 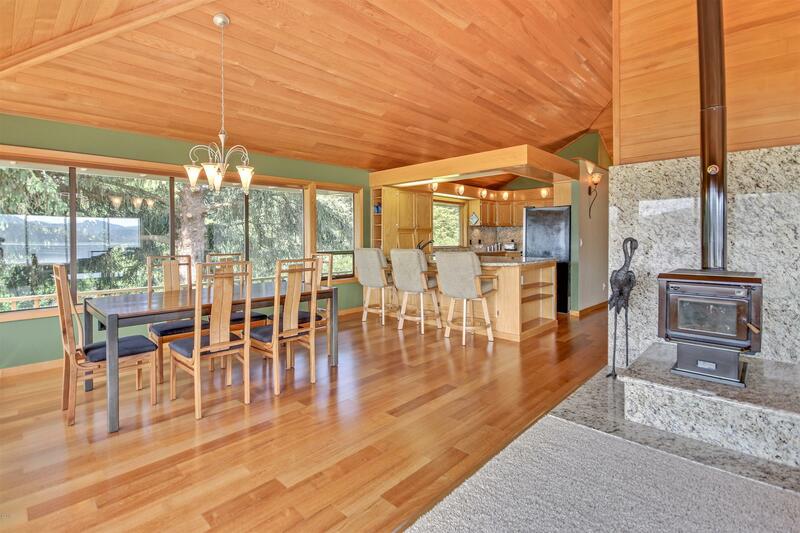 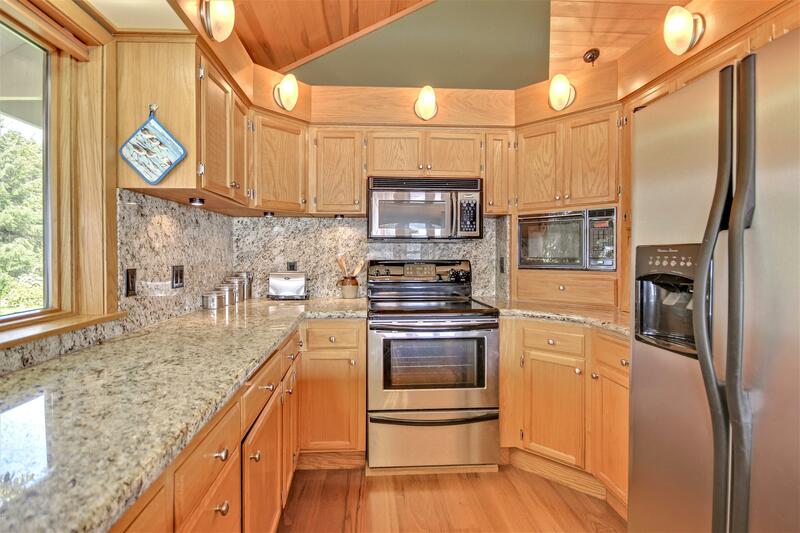 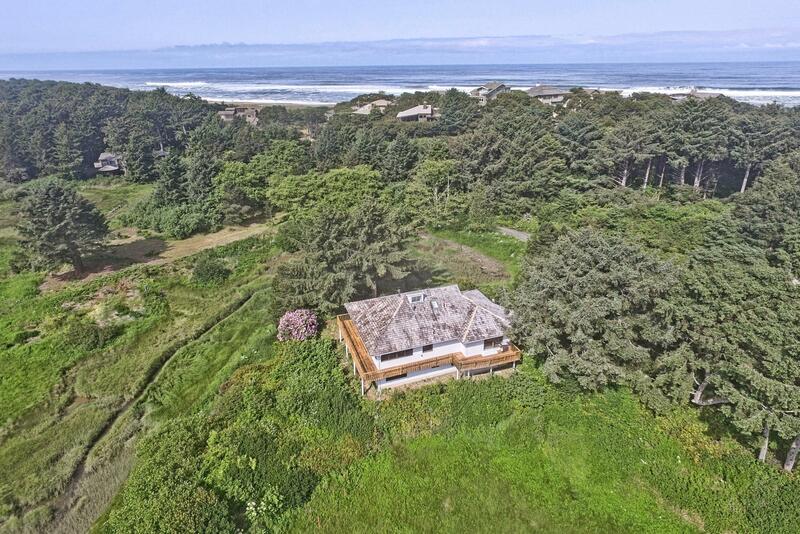 Perfect setting in Salishan directly across from beach access. 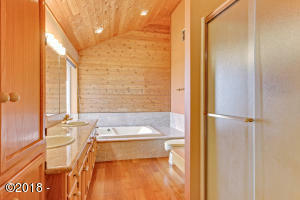 Built by Emerson Morgan, premier builders. 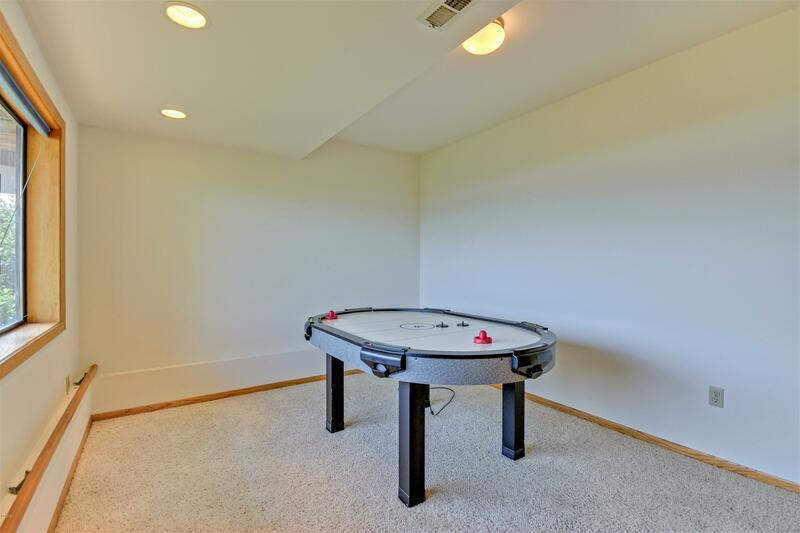 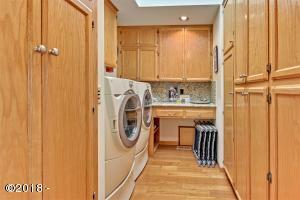 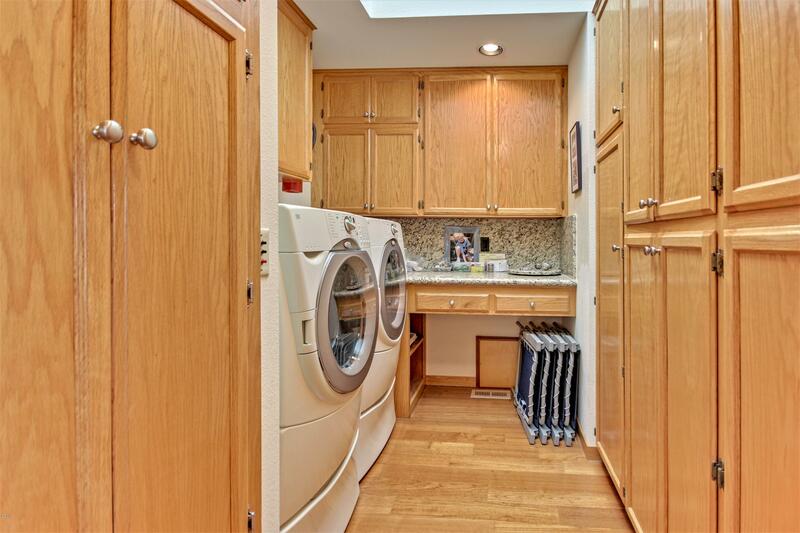 Internal features include a dumb waiter to lift groceries from garage to main level. 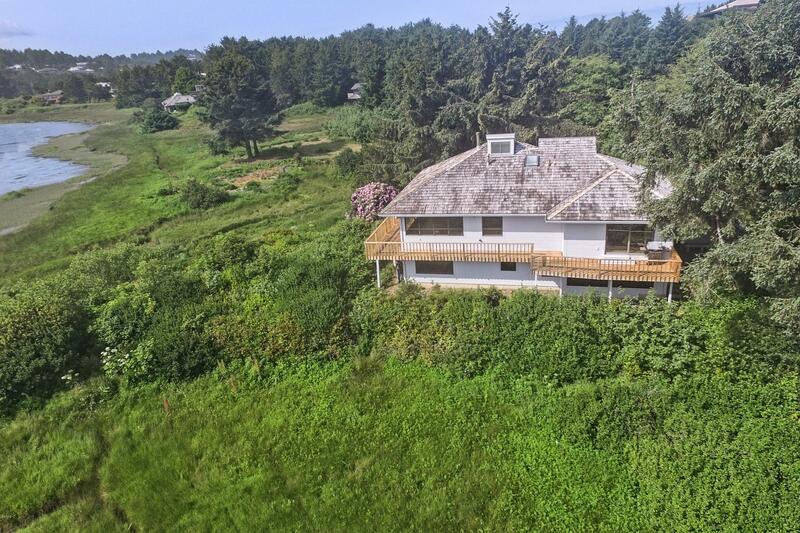 Septic was redone recently, Roof was treated 2018, exterior painted 2018, new deck 2018. Custom agate lights, beautiful cedar back drop wall and vaulted ceiling. 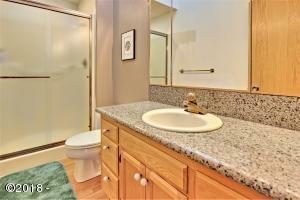 Flood Ins premium under $900.00 yearly. 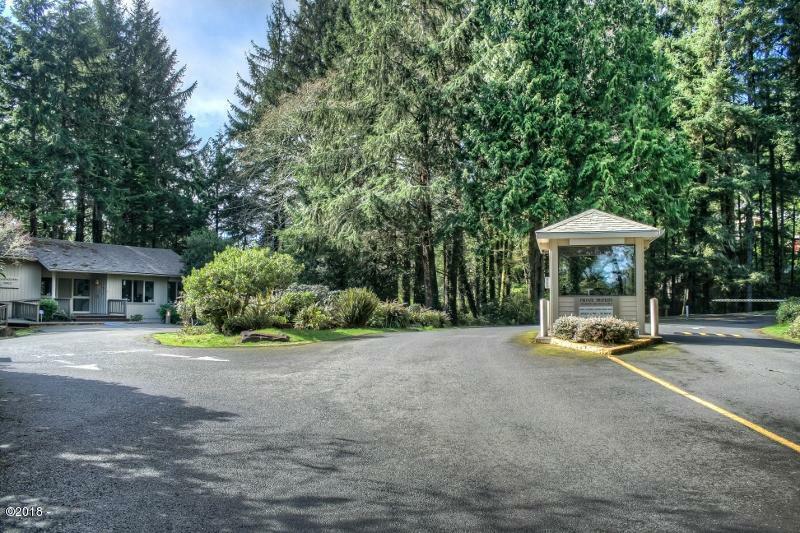 Directions Salishan Dr to Sandpiper.